CAUTION: This is latest genuine v2.1 ELM327 scanner that uses Elm Electronics firmware. Please note, it does NOT use Elm Electronics chip, because that's expensive to license. Hence we use our own high quality chip with 100% identical functionality, speed and compatibility of Elm Electronics chip. Also, this is NOT a clone/low-quality-build as is sold 99.9% of cases on eBay. SCAM WARNING THAT 99.9% OF BUYERS DON'T KNOW: Did you know that 99% of those cheap ELM327's on eBay (usually under $15) actually support half the data compared to High quality, genuine chip counterparts. Example, cheap eBay/Alibaba/AliExpress clones will NOT display or WRONGLY display data for: EVAP, O2 and HO2, B1S1 Lambda data parameters. While Total Car Diagnostics ELM327 cable fully shows their data in absolute accuracy. This is difference between being safe on the road — or not. They were produced by different non-standardized companies using different chip manufacturing process. Meaning no ELM327 USB Cable scanner was the same. For example, some had faster refresh rates (despite same baud of 57,600 bps) - but expense of lacking PWM J1850 OBDII protocol - meaning it excludes support for over 40% of world's OBD2 cars. Usually cutting support for many Ford, BMW, GM, etc. models. This is just one example. So this non-standardized situation consistently produced unreliable data you just couldn't trust. And one can't afford this with a car that needs repairs for sake of drivers safety. So Total Car Diagnostics decided to analyze them all. The clones and original ELM327. And went on a mission to create a universal ELM327 USB Cable scanner that includes benefits and strengths of them all - combined together. No Windows drivers hassle, no over-voltage burnouts, no haphazard car support! Our ELM327 USB scanner works on 99.9% of today's cars — yes, even yours. Simply plug one end into your car's OBD-II port, and other end into the laptop. Install one file for drivers and that's it. Now launch any OBD software - click "Connect", and you're in! You can now begin to diagnose vehicle problems, reset faults, tap into performance statistics — and basically see everything you ever wanted to know about the inside of your vehicle(s). What's more - our scanner will give you "dealer level" diagnostic power on your vehicle — allowing you to perform advanced diagnostics, health checkups and fault analysis on systems beyond generic OBDII systems of just Engine and Transmission. 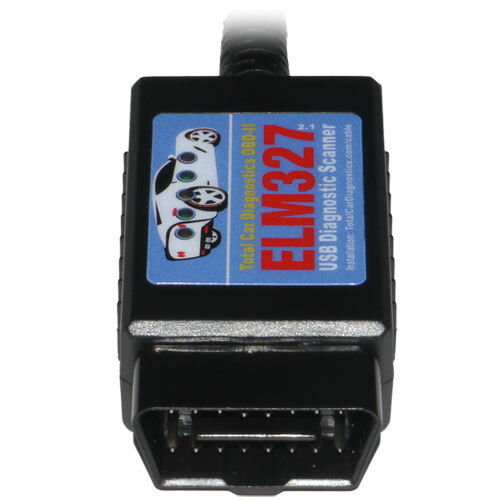 In addition, our ELM327 USB scanner can read numerous car data/parameters that handheld scan tools can't. Combined with powerful OBD software — you'll be able to read up to 15,000 possible data parameters from you vehicle(s). Faster with more stable connections then competitor/clone ELM327 devices: Experience faster screen updates and more graph points. Ultra-small scan tool: At just under 8cm long — scanner won’t obstruct driver legroom. Hack-Proof: Cutting-edge security scheme virtually eliminates the risk of unauthorized access. 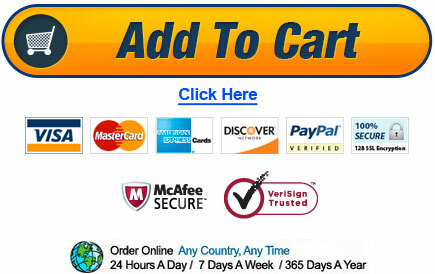 Works with 128-bit military grade data encryption, Man-in-the-Middle (MITM) protection. Read/Clear MIL (Check Engine light): Check diagnostic codes yourself and make informed and money-saving repair decisions. Works on Windows and MacOS : Turn your laptop into a sophisticated diagnostics tool and performance analyst. Works on a wider range of vehicles: Our scanners advanced algorithm enables it to connect to more OBDII-compliant makes & models than most scan tools on the market. The processor is based on Elm Electronics™ ELM327 2.1 code. Doesn't used modified clone-based code as is typically sold. ...over 4,000 - 15,000 additional values. Too many to list here. Warranty: 1 year. *If USB stops working or brakes anytime within 1 year of it's usage, simply let us know here — send it back, and we'll send you a new one. Warranty does not apply if it's interface failure is fault of customers actions. 1x Total Car Diagnostics genuine ELM327 2.1 USB Scanner. (Software is not included. That's up to you to get separately. For Windows, we recommend TOAD software). 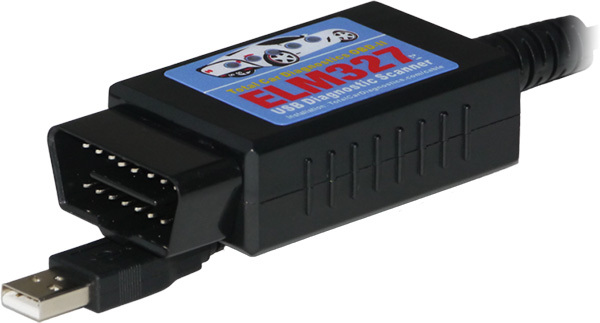 We're 100% confident that our ELM327 USB adapter is going to work on your car. And that it's all you will need to perform advanced, comprehensive and deep analysis for vehicle performance condition and various faulty bottlenecks. ...just let us know 365 days after your initial test-drive of ELM327 USB Scanner. We'll refund every dollar you've paid. No strings attached. *Refund Terms: (1) Product is returned in immaculate condition. (2) You must first ask our support for help before returning product. (3) Product must by returned back to Australia. (4) If you're refunding because your vehicle is not OBD2 compatible (meaning you haven't first checked link - hence you're at fault), then we'll minus $7 shipping cost from your refund. When you place your order now — you will receive 1x ELM327 USB scan tool interface shipped to your door, anywhere worldwide. Reason for lower online price is because we have no stock and employee handling fees, like we do in our retail shop. Hence these savings are passed onto you. I urge you to take action right now and grab this universal car scanner, trusted by thousands of professional mechanics. Trust me, you won't want to miss out on this one. Grab your scanner now by clicking here for our safe and secure order form. P.S. 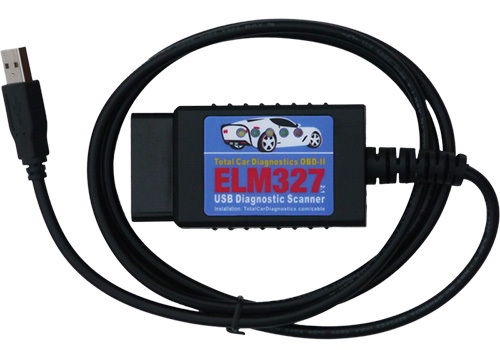 Is your vehicle supported with this ELM327 USB scanner? Click here to find out. P.P.S. Our ELM327 interface goes head-to-head with the fake scan tools on the market — especially those on eBay. Because there are a lot of phony scan tools out there which are sold at very cheap prices but don't always work as advertised. For example, they have painfully slow data refresh rates. They randomly cut-off connections. And don't work with all vehicle protocols. So you're missing out on lot of valuable data from the car. All those issues are taken care of in this new v2.1, ELM327 reader. It's fast, reliable and trusted by thousands of professional automotive technicians. It's also backed by our exclusive 1-year warranty.